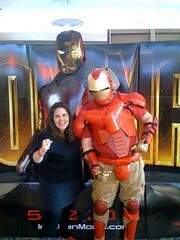 They had a guy dressed up as Ironman at the movie theater last night. We couldn’t quite tell if he worked there or not. He seemed pretty embarrassed that I wanted to have my picture taken with him. I don’t care. His costume was awesome! He made it out of Solo cups. The movie, by the way, was spectacular. I haven’t seen an action flick this good since the last Batman movie. EVERY actor was excellent. There wasn’t one cringe-worthy moment (I allow several per comic book movie). I want to see it again, soon… That’s how good of a movie it was. Special kudos go out to Robert Downey, Jr. for getting his act together, surviving his addiction, and coming back better than ever. He’s truly an inspiration to me. If he can quit drugs, then maybe I’ll be able to quit overeating. Keep up the good work, man, and if they offer you the sequel, TAKE IT! tries to get this one half-way right. If you were asked to shock another human being and could hear him screaming at each shock, would you continue to shock him? What if the shocks were increased to a dangerous level and the other person said he had a bad heart? What if you were ordered to? We like to think that we wouldn’t do it, but in the experiments, 85% believed they gave shocks strong enough to kill. Still, the results of the Milgram experiment demonstrates how rare and heroic is the “Courage to Refuse” (as one of their organizations is named). These are people who deserve to be honored. It seems his distrust of authority was the one thing that saved his “learner” from suffering. What I attribute to paranoia could actually save someone’s life. It’s funny how fine the line between sanity and madness is. The B4B is orchestrated by the wunderkind, Matthew Reinbold, and I’m so grateful that I was asked to present this year. If you have ever wanted to visit Utah, the B4B is the perfect excuse to write it off on your expense report. Check it out! This is where I am hiking right now, you know, just in case I end up lost or injured or kidnapped or something. Update 11:13 am PDT: I am back from my hike. No injuries. No confusing trails. No kidnappers. Just lots of dogs and friendly people. 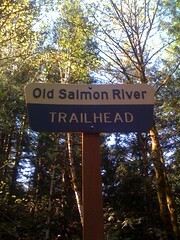 I forgot that it was a weekend and that the trail would have lots of people. I saw this ad and I immediately thought of fifth grade. That was the year Bonne Bell’s Lipsmackers were THE most popular thing. This advertisement doesn’t do them justice because you can’t see how freakishly large they were. They just look like a normal chapstick-sized lip gloss. But NO, they were at least three inches tall and an inch in diameter. They were large and the cool girls would have them sitting on their desk like a plastic column of Dr. Pepper scented popularity. Dr. Pepper was the cool flavor, by the way. 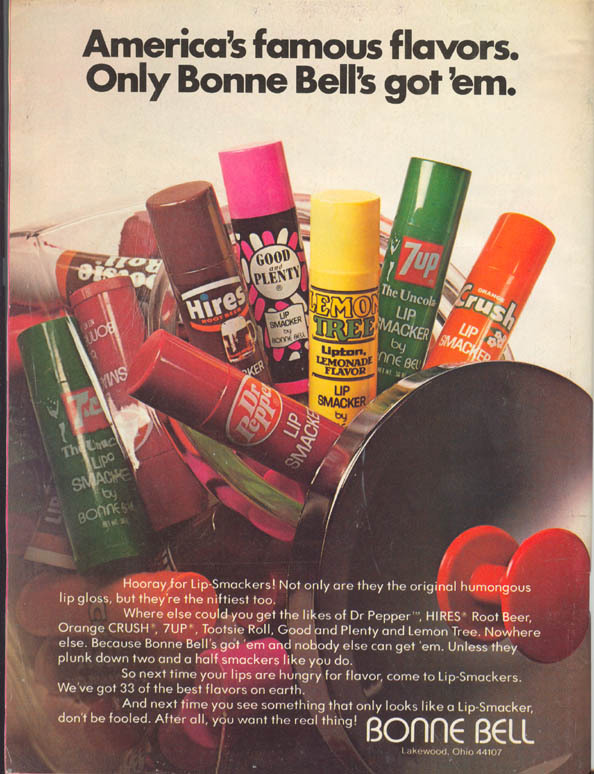 If you were unlucky and your mom bought you a 7-Up Lipsmacker instead, you might as well leave it at home. The Hires rootbeer flavor was a close second, but I never saw the Tootsie Roll or Good N Plenty flavors. When my grandmother was starving me in Montana, I used to put on the Dr. Pepper Lipsmacker on my lips and pretend I was eating something sweet. I was tempted to eat it so many times. If you licked your lips, they tasted sweet. Nicole Lee says that these posters are all over San Francisco now. I haven’t seen any in Utah. 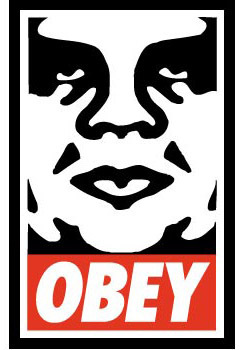 My first instinct was they looked just like the Big Brother Is Watching You posters in the movie of 1984. 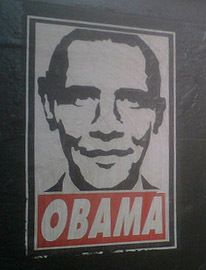 I can’t believe that the Obama supporters really wanted to invoke the 1984 imagery and liken him to Big Brother, do they? Where did those posters come from? Were they put up by the Republicans? I can’t imagine there are enough Republicans in San Francisco to organize something like that. Were they put up by the Hillary faction? Is THIS how she intends to win? Update 05-23-08: GREAT comments on this, so read them if you are interested in these posters. AND because I started writing about political things, the random ads that are showing up are promoting John McCain. I DO NOT SUPPORT JOHN MCCAIN, so don’t believe those ads. He’s just paying to put them up on any site that mentions any of the candidates. I used to write more intimately here. I used to try to prove that I was a good writer by actually writing something that I worked hard on. I used to go over every post many times over to make sure they were perfect. Now, this blog is more like a series of notes to myself and strange communications with others. I post videos that I like to watch so that I can come back here and watch them again. I post quick and important information about myself so that my friends will know what’s going on in my life right now. I post links to sites that I think I might find interesting and want to remember. It’s like my blog became more for me and less about me. It has become a tool instead of a broadcast medium. I don’t really know how I feel about that. Part of me is sad because I like to write and I want to be profound. I want people to say that the things that I’ve written about have moved them. I get a lot of that at Starling Fitness, so I don’t feel like I need it as much here anymore, but I only write about health, fitness and body issues there. There is a lot more to life than body measurements and heart rate monitoring. Part of me likes how Pick Me! has evolved. It is a very useful tool for me. It’s like my personal journal that I can instantly search. When I saw that the May 19th Entertainment Weekly listed Lykke Li’s “I’m Good, I’m Gone” video as a “Must See,” I felt vindicated because I had discovered this “Must See” a full month before Entertainment Weekly. I had proof that I was cool before cool was cool. The biggest reason I don’t pour my heart out here as much as I used to is because my blog doesn’t feel as private as it did before. I always knew that the Internet was like going to the park and screaming the words from my diary out loud, but it didn’t hit home until I was laid off my job. I have a friend who hasn’t learned this lesson yet and it’s painful to watch her make my same mistakes all over. I guess I want the impossible. I want to be anonymous again so I can write openly about my every thought. The fact of the matter is that NONE of us are anonymous. If you think you are anonymous, you are just deluding yourself. They can see exactly what IP your comments are coming from. They can take your words, run an analysis and see how closely they match everyone else’s. ALL anonymous blogs worth reading are eventually found out. All I can do is write EXACTLY as much as I’m willing to share in the real world. Did you know it wasn’t the original? Here’s the original. She has a link to every YouTube reference in the whole video. Awesome work, Nicole! 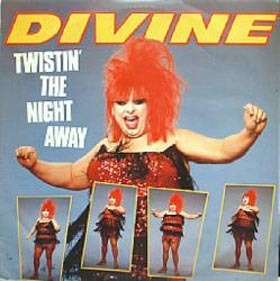 Divine: Out to have a good time. Dad: Oh? Can I come? Divine: Only if you’re into it. Whenever anyone asks me “Where are you going?” I ALWAYS answer with the word, “Out,” in the hopes that whomever asked will respond with the rest of the interlude. Never, not once, no one has ever known what the heck I was quoting. Where have all the drag queens gone? I remember when Divine came to Utah to perform, celebrated and loved. UTAH! 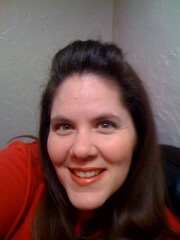 Sometimes I hate reminiscing about the eighties with a passion, but times like these, I miss them. Wiped from my memory. Seriously. I don’t know how I blocked it so thoroughly. If you had asked me a couple of days ago about Kidd Video, I would have shrugged my shoulders and shook my head. Kidd Video? What’s that? A video by Kid Rock, maybe? That crush I had on the lead singer? Yeah, it all came back full force. My pre-teen mind never questioned the idea of a fairy dressed up as Olivia Newton-John with sneezing superpowers. I never gave it a second thought. Kidd Video was a COOL show when I was in junior high. I liked it almost as much as Kids Incorporated, which I very vividly remember, no memory blocking there. I SO wanted to be in a band and be cool like the kids from Kids Incorporated. I LOVED that show. Where are those kids now? Marta Marrerro went on to become Martika in the late eighties. Stacy Ferguson became Fergie from The Black Eyed Peas. It looks like Rahsaan Patterson is still in the business as well. Renee Sands provided the singing voice for Princess Fiona in the Shrek movies. Jerry Sharell is managing American Idol artists now. I’ve just spent a half hour looking at all the videos on YouTube from Kids Incorporated and I’m truly surprised how BAD they are. I LOVED that show and now I can barely watch it without cringing. How did my tastes change so much? I guess I’m glad that I’ve grown up, but I’m surprised that I ever liked that show at all. I feel almost betrayed by how cringe-worthy it is. 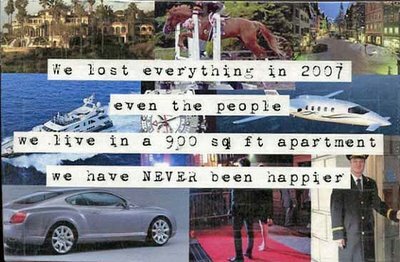 In twenty years, will I feel the same about all the things I love right now? 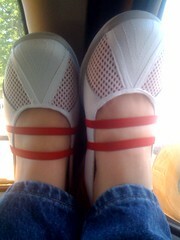 into a trip to Payless for cute and nearly disposable shoes. Wii. Fun day with sister!